The 135mm was for years the go-to telephoto. The 135mm seemed to be deposed in favour of longer telephotos, but now it’s back. Let's have a look at what that means to us. And a big thanks once again to the good folks at Gentec International who made the lens available to me for review. Back when the world was young and I was starting out as a working professionalafter completing my apprenticeship, I got an old Nikon F2AS because it was what real pros used and I couldn't afford the F3 that I wanted. The F2 served me well despite having been well used before I owned it. In addition to the 35mm and the 50mm, I got my first telephoto lens that year, also used. A Nikkor 135mm f/3.5 it wasn't optically fast and I never really loved the 135mm focal length, but I had been told that was "the" focal length to get by more experienced professionals, and the 105 Micro Nikkor was completely beyond my price range. When I sold all my pro gear so we could get a down payment together for our first house, I missed (and still do) the F2AS, but never really missed the 135mm. Present day. Shooting full frame most of the time, I still don't demand the 135mm focal length. What I have wanted for some time though is a 200 f/2, partly because I love the look for portraits and headshots, partly because one of my instructors, (the great Joe McNally) strongly advocated for it, and partly because I like longer faster glass, weight being a secondary consideration; for the moment at least. Which via a twisting route and a wrong turn at Albuquerque, brings us to the Sigma 135mm f/1.8 ART. You see in addition to a couple of full frame bodies, I also have an APS-H body (the unstoppable Canon 1D Mark IV) and an APS-C body (the mostly unloved Canon 7D Mark II). I have shot the Sigma on the Canon 5Ds and the Canon 1Dx Mark II. It is sharp and the out of focus highlights, that ever misunderstood, bokeh, are lovely. And I still don't care for the look on full frame. But your use cases could be very different from mine. On the APS-H sensor which has a 1.3x crop factor, the lens delivers the look of about 175mm. When I shoot headshots, I most often use the 70-200/2.8LII IS, and checking my Lightroom focal length usage, I am very often shooting between 170mm and 200mm. I find it gives me a beautiful look and doesn't crowd the subject. I also find that I shoot wide open quite a lot for really shallow depth of field. What could possibly be better? Why one less stop (or a bit more) light from the generic 135mm f/2.8, and the resultant reduction in depth of field. On the 1D Mark IV, the 135 gives me about 176mm at f/1.8, which as the story goes, is fabulous. It even redeems the 7D Mark II delivering about 216mm at f/1.8 look and feel. To be fair, the 7D2 is a fine camera, it's just not enough better than its predecessor in low light and I still kick myself for selling the original 7D that I had modded to be awesome for video. Anyhoo. The 135mmf/1.8 delivers a beautiful image on the 7D Mark II as well. In fact, that's the combination I used for some demo shots with the recently announced Profoto A1. This lens follows the professional optical treatment found in most of the ART lenses including two SLD and two ELD elements. The aperture has nine blades for nice round out of focus highlights and the mount is brass for solidity. Like most ART lenses, the lens is compatible with the Sigma USB dock for firmware updates and custom tuning. 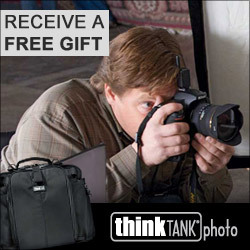 The Sigma sells regularly for about $1799.99 CDN in Nikon, Canon and Sigma mounts. I was surprised to learn however that it is more expensive than Canon's superb 135mm f/2 L. Nikon's 135/2 DC Nikkor is about the same price as the Sigma but is a very old design. Sigma's ART lenses are killer. I have shot the 20mm, 24mm,35mm, 50mm, 85mm and not a one has given me any cause not to recommend them highly. The 135/1.8 does not disappoint. It is beautifully crisp and has great colour and wonderful contrast. I found it to be a great headshot lens and while I had to zoom with my feet more than with the 70-200, that razor thin depth of field at f/1.8 fits my shooting style. It makes me happy. Now obviously, the lens is very sharp at smaller apertures, but one does not consider an f/1.8 lens unless one intends to shoot at f/1.8 a lot, otherwise why bother? All the ART prime lenses are extremely sharp with great contrast and really nice out of focus highlights. Construction is robust and you can feel the quality in the hand. Focus rings are pleasantly resistant but turn without grinding or binding. The 135mm is the first ART that I have used whose AF motor noise I noticed. It's not loud, it just surprised me because I could hear it at all. My evaluation unit had been rather heavily used before I got it, so that noise may be unique to this variant. AF is quick if not screaming fast, typical for a longer focal length lens with a very large maximum aperture. It's good on the 7D2 and the 1D4, but I found it slow on the 5Ds, but in fairness, the 5Ds is slow at everything it does. What some folks see as a downside is the size and weight. The lens is big, although not over-large in my opinion. It is however, like every ART lens that I have used, quite massive. Swing weight is tangible and I valued the presence of the extra grippability of the 1D Mark IV body style or the 7D Mark II with a battery grip over the chassis only 5Ds when trying to work quick changes. On a standard body, you may find the combination particularly nose heavy. 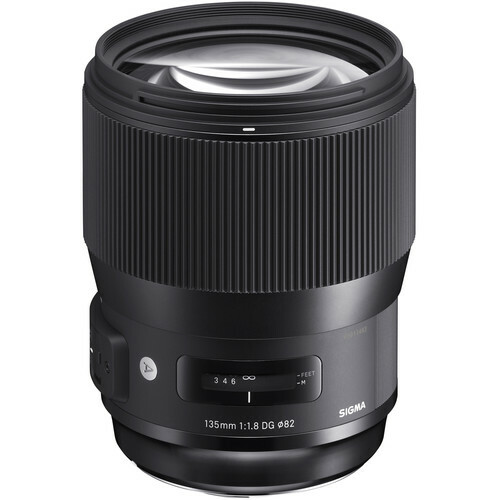 I certainly appreciate that Sigma makes its lenses available to fit its own bodies. If they were interested in a suggestion, I would respectfully suggest putting the priority of a Sigma mount AFTER a Sony FE mount. Sony is delivering very credible full frame cameras, and there is not a ton of competition for fast primes. In fact, to be blunt, there is no competition at all. Sigma could own the fast primes on Sony marketplace if they stepped up. Sony will not lie back forever, so get in while the getting is good. I am aware of the MC-11 adapter and I have used it with Canon mount Sigmas on the a7R Mark II, but no adapter is a substitute for a real mount. I have to thank my friend, photographer Robert Schindelheim, for stepping in on zero notice to get in front of the camera for the live human being test shots. My regular muse was working, and the booked model, could not make it at the last minute. Such things happen. Of course, Darla was here, but I wanted to see what the lens would do with a not plastic face. I liked the lens very much on both APS-H and APS-C bodies. There is great sharpness and lovely colour rendition. The lens is quite heavy, and I would want to be shooting a camera with a battery grip if I were using this lens for a few hours handheld. While it has a superb 7 year warranty here in Canada, I confess that I fear that the price differential between it and the OEM lenses is not big enough to steal buyers away from either Canon or Nikon. I know only one person shooting a Sigma camera, so as much as it's great that Sigma makes the lens in their own mount, they really need to get on to native Sony FE mount lenses. It's a very good lens, but to win hearts and minds, needs to see a $500 price drop to really separate it from the OEM glass.